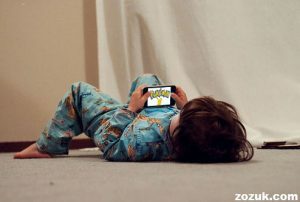 Remember the days when you switched on your Gameboy and started your journey as red to become the Pokémon master. All we wanted was to catch em all. Defeating the elite four was the prime objective. That thrill of trying to catch the original 151(the mew glitch….). Pokémon franchise has always had a place in our hearts. The Pokémon company hit high notes when they released the first-ever augmented reality Pokémon game, Pokémon Go, last year. Trainers all around the world loved it and were forced to get their lazy asses outside to catch ‘em all. Arrrhh… another ekans!! Now the Pokémon company is going to target the only age group left which are least acquainted with the Pokémons. 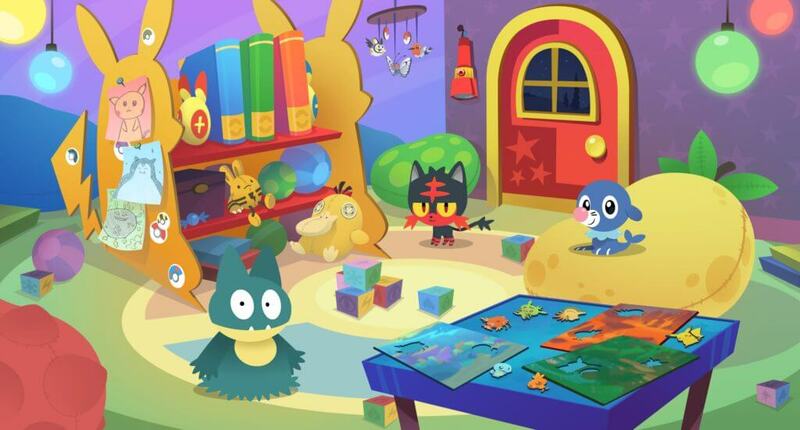 The Pokémon Company launched a new game “Pokémon Playhouse” for kids aged 5-6. But this time, kids won’t feel like red. They’ll be more of a Pokémon breeder. So, younger ones, get ready to become brock. Players will be given a Pokémon egg. Explore the Pokémon playhouse, complete activities and eventually, the egg will hatch. Yeah! My first Pokémon. A Pokémon just by completing some activities, we had to walk to hatch the eggs. The game’s target audience is age group of 5-6 years, so they do not expect a player to read scary big words. All the activities will be narrated by an in-game human character. The game will have some puzzles, some activities such as Pokémon grooming, search the stars feature, starting a band with Pokémons and feeding them treats. Pokémon Playhouse features over 50 Pokémons with never seen before expressions.Little trainers could explore tower lounge and outdoor playgrounds. This game is more about finding Pokémons, hatching eggs and having fun. The game doesn’t feature capture, battle or raid features. So, all you gotta do is befriend your Pokémons and take a good care of them. Pokémon playhouse is available for both Android and iOS. The app doesn’t collect any personal information. So, no privacy-related issues. 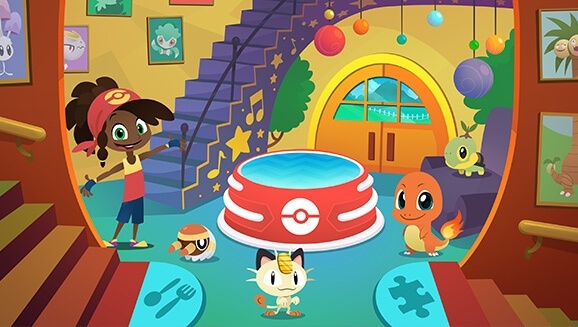 The best part about Pokémon Playhouse that parents will also be glad to know is unlike Pokémon Go, Pokémon Playhouse won’t have kids begging for money for in-app purchases. The game itself is a free download, and all its content is free as well. Also, the game is only played indoors within the sites of the guardians. Pokemon Playhouse as of now is only available in United States, Italia, UK/Ireland, Deutschland, France and Espana. 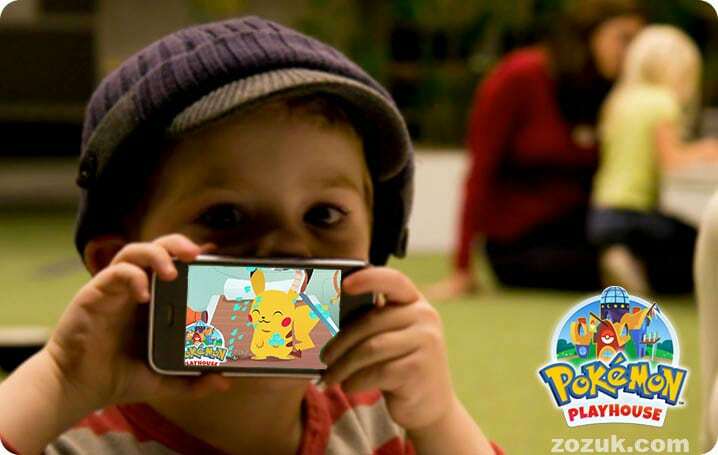 “Playhouse offers our youngest fans the opportunity to explore the world of Pokémon in an environment made just for them,” said J.C. Smith, senior director of Consumer Marketing at The Pokémon Company International, in a statement. “As the popularity of The Pokémon brand continues to grow, we’re thrilled to launch the first-ever Pokémon preschool expression with Pokémon Playhouse, offering parents an age-appropriate and entertaining experience for the littlest Trainers in their family.” As for the Pokémon themselves, the company says the game will include “never-before-seen expressions of Pokémon” such as Pikachu, Bulbasaur, Litten, and Snorlax. This app is ABSOLUTELY PRECIOUS. Look, I know this was made for like 5 and under, but I’m almost 18 years old and I’m absolutely in love with this adorable game. I love everything about it! The little voice actress is precious, the ART IS PRECIOUS AND SO CUTE AND PLEASING TO LOOK AT, the animations are adorable and they make me so giddy, the Pokémon cries are adorkable, the little background details and the easter eggs (like the showerhead looking like a Squirtle and the dryer looking like a Torkoal) just get me every time! I love feeding and CARING FOR THE POKÉMON!! Idk why, but ahh it’s just so fulfilling. So that was a short review of Pokemon Playhouse from zozuk.com. Give your view in the comments section below and help the community decide if the game is really worth the hike.